The Lagoon 450 is the largest boat in our fleet. It is available to be booked both by the stateroom for singles or couples, or for full-yacht bookings. 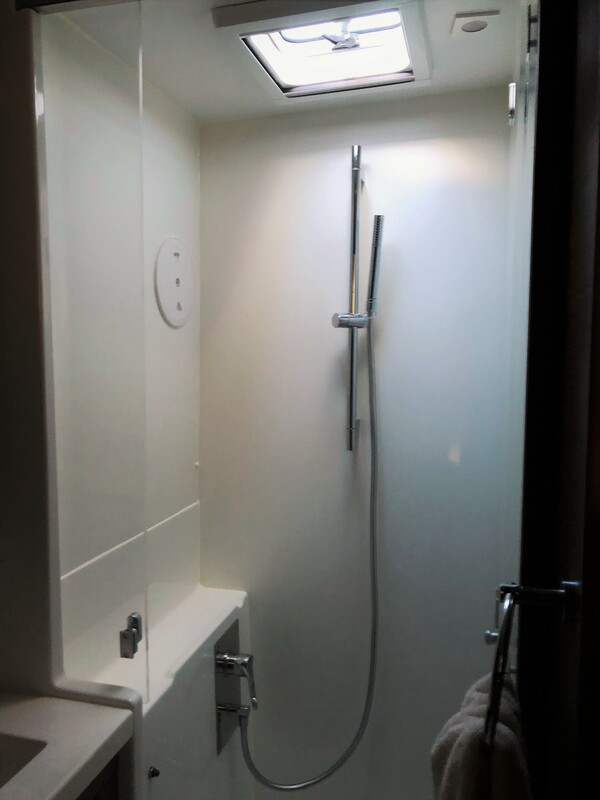 The 450 has 4 cabins, each with a private bath and walk-in shower. Capacity: 8 passengers in 4 staterooms with 2 crew in peak crew quarters. 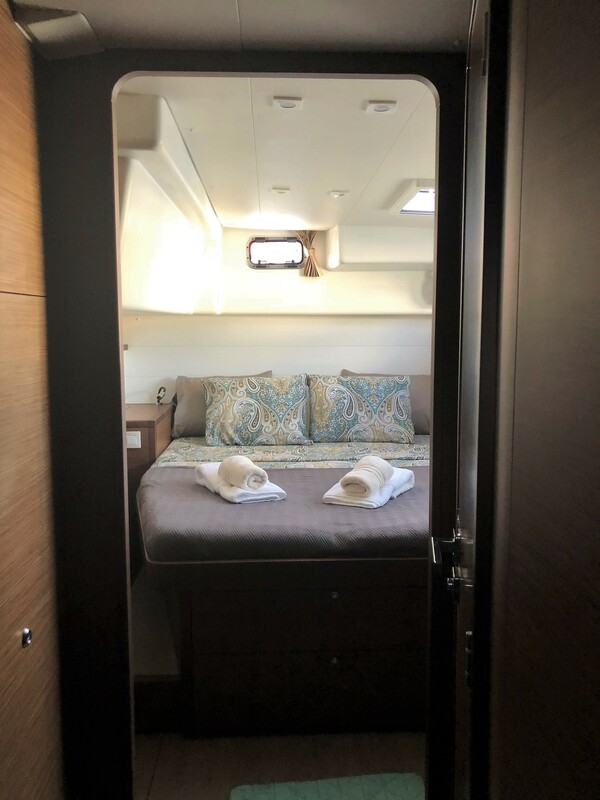 *Please note, when the Lagoon 450 is booked as a 3 cabin option, the crew will inhabit the 4th cabin. Forward berth 6' 7" x 5' 3"